The Summer School in Roman Pottery Studies is a four-week program designed to present the basics of Roman pottery analysis, which can be gained only through direct contact with ceramic assemblages. Potsherds constitute the most common finds on archaeological sites in the Mediterranean, and pottery studies form an essential part of any archaeological training. Pottery offers important evidence for dating sites and provides a major source for studies including trade relations and economic exchange, food consumption, and aspects of identity. This year the Summer School will utilize recently excavated pottery from the Roman villa, horreum, and houses of Oplontis, a UNESCO World Heritage site on the Bay of Naples. The burial of Oplontis by the AD 79 eruption of Vesuvius made for a rich, well-preserved assemblage that is ideally suited for a hands-on approach to understanding the Roman economy and daily life in the first-century Pompeian suburbium. ​The course consists of seminars, field trips, and a hands-on exploration of a ceramic assemblage. Students will learn the fundamentals of Roman pottery including single ceramic classes with their characteristics, function, date, and provenience. 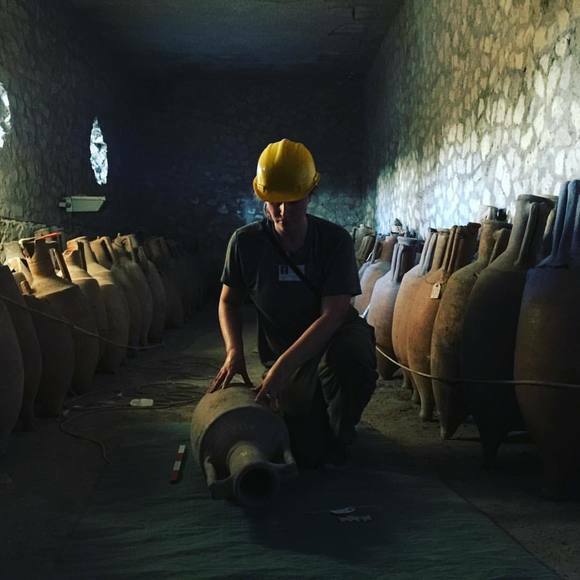 Participants will then apply their knowledge to pottery from ongoing excavations at Oplontis. This element is designed to give the participants practical experience by working under the supervision of the directors with the final goal of publishing the assemblage. ​Applications are encouraged from graduate and advanced undergraduate students, junior faculty, professionals, and avocational scholars in the fields of Classics, History, Art History, and Archaeology. Applications will be accepted on a rolling basis beginning February 15, 2019. Tuition is ​$3050 for 4 weeks and includes the cost of instruction, field trips, and housing. Participants will be housed at a hotel in modern Pompei near Oplontis, and are responsible for their own food, airfare, and travel/medical insurance.